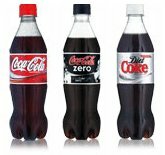 We've all heard about the Coke/Pepsi/Sprite test where tasters couldn't taste the difference between Coke, Pepsi and Sprite due to the temperature they drinks were served, but do you think you could tell the difference between Coke and Pepsi and their varients if the drinks were served at room temperature? 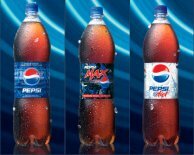 We were discussing this and the various merits of Coke vs Pepsi at work yesterday, and one of the guys came up with the idea of creating our own Coke / Pepsi test to see if we really could tell the difference between Coke, Diet Coke, Coke Zero, Pepi, Diet Pepsi and Pepsi Max when given the opportunity to taste them side-by-side, in any order, without any clues as to which were which. After a bit of a debate, we decided we'd actually find out for ourselves, rather than just debate it. So one of the guys popped out for a bit and came back with 6 two litre bottles of brown fizzy pop so we could setup our own test. Conveniently, the bottles themselves are identical. The only thing that differentiates each of the bottles is the label and the lid. The labels were removed and replaced with generic A, B, C, D, E and F labels (the original contents were noted before and correlated to the new labels), the lids mixed up and then the bottles shuffled ready for the challenge. There weren't any rules other than you just had to correctly identify all 6 bottles. You could sample them in any order and as many times as you liked. Now you're probably thinking, easy peasy. Well, you'd be right if you were only trying to distinguish between Coke and Pepsi, or diet and full fat, but our challenge was to correctly identify all 6 bottles, side-by-side. Well, what an afternoon it was - a bunch of techies, some of which are die-hard fizzy pop drinkers, all umming and ahhing, swishing and sniffing like wine connoisseurs. It was a site to be seen, and great fun too. I thought this would be quite an easy challenge. I was wrong. It was easy to identify the Diet Coke and Diet Pepsi - they are distinctly different from the others due to the type of sweeteners used - but correctly identifying the others proved to be much harder. You could tell there was a difference, but it was really hard identifying if the difference was a manufacturer difference (Coke/Pepsi) or a variety difference (Coke/Coke Zero). In the end I just guessed the last 4. My stomach was becoming very bloated from swigging all that fizzy pop and the sugar was starting to work it's magic on my teeth and sugar levels. I didn't hang about for the final results, but that wasn't really the point. The point was to prove that given a blind test, most people really can't tell the difference between Coke, Coke Zero, Pepsi and Pepsi Max, and I was one of them. If you've got a spare bit of cash and a large group of people, give it a go one day and see what I mean.